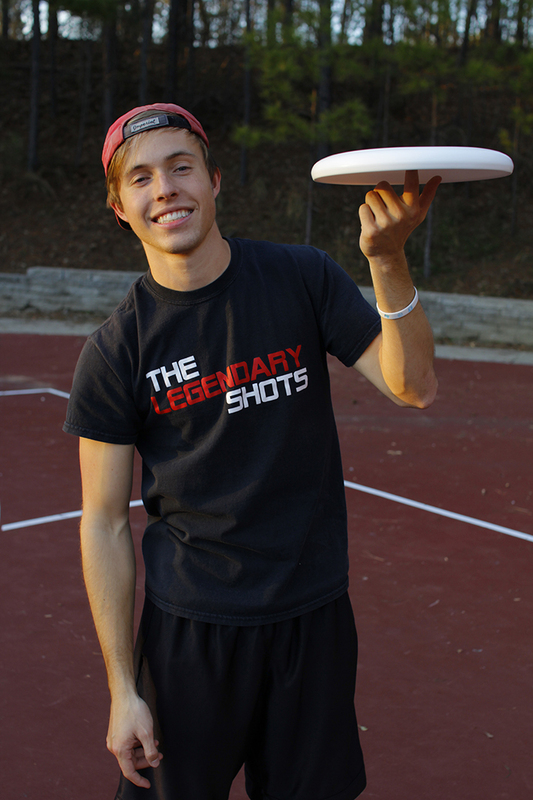 Carson is the founding member of Legendary Shots. As an avid proponent of making videos and enjoying the great outdoors, the idea to start recording basketball trick shots in 2006 as a 7th grader was a very natural fit for he and his adventurous friends. As the times changed, Carson did as well. Although still one of the main guys on camera, his off camera roles for Legendary Shots have evolved to social media management, and liaison between LS and the outside world. Basketball trick shots might be what Legendary Shots is known for, but Carson’s favorite sport to play is volleyball and favorite sport to watch is football, namely Auburn Tigers football as an Auburn University graduate. Carson graduated from Auburn in 2015 with a marketing degree, which helps him in his day to day selling of the Legendary Shots brand. When he isn’t social media-ing, he enjoys playing Super Smash Bros with John, eating pizza, and watching movies, either at home or at the drive in theater. Although watching Netflix in his bed is his happy place, his favorite place on earth is Sarajevo. He enjoys short walks on the beach and long drives to Key West. He can also spin a frisbee on his left pointer finger (see photo). When John isn’t fueling his Chick-Fil-A addiction he’s working for Legendary Shots, LLC. He joined back in 2009 when he met Carson at his high school youth program at church. Along with Carson, the two of them have become the face of Legendary Shots, LLC. John is known for making crazy trick shots and creating the crazy contraptions used in the videos. John double majored at The University of Alabama in Chemical Engineering and Chemistry. He has since then lost his degree, or perhaps it was stolen by the scurry of squirrels nesting inside the Legendary Shots house’s chimney. Aside from filming, John manages the finances of the company. John also edits the video content for Carson to share on the social media platforms of Legendary Shots, LLC. John spends his time working in the yard or making renovations to the house him and Carson reside. If he isn’t watching Game of Thrones or Netflix with his girlfriend, he’s playing Super Smash Bros with Carson. If you see John in public be sure to go up to him and say “Chick-Fil-A everyday”.